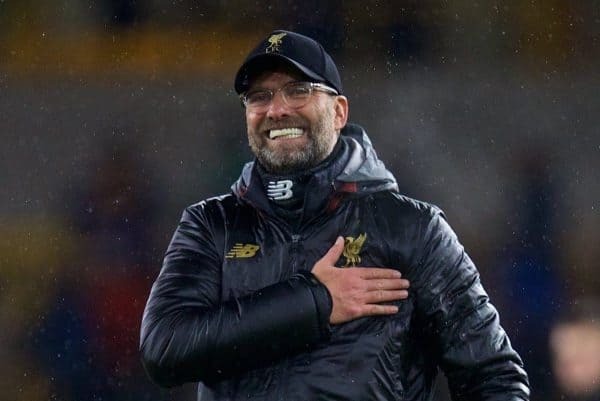 German journalist Raphael Honigstein claims Jurgen Klopp will “99.9%” sign a new contract with Liverpool if he wins the Premier League or Champions League. 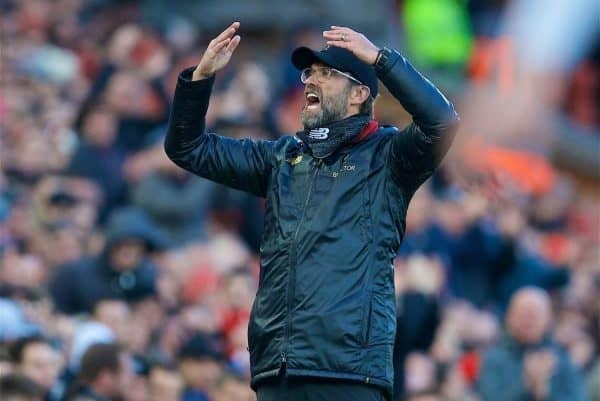 Klopp’s efforts since joining the club in 2015 have pushed them close to the pinnacle, with last season’s defeat in the Champions League final their best accomplishment in recent years. This season, Liverpool are on course to challenge for the league title, and take on Bayern Munich in the last 16 in Europe, from which they can be considered to have a great chance of progressing. Before Klopp took over at Borussia Dortmund in 2008, he was on the radar of Bayern, who instead opted for Jurgen Klinsmann—but speculation over a future move to the Allianz Arena has continued for the 51-year-old. But ahead of Tuesday’s clash with the Bundesliga giants at Anfield, Honigstein told Abendzeitung Muenchen that despite the lure of Bavaria, Klopp is instead more likely to extend his stay at Anfield. “Klopp is very happy with Liverpool, and the club is very happy with him,” he explained. “I rather think that he will renew his contract beyond 2022. “If he is to become champion or Champions League winner, he will 99.9 percent stay longer. “That does not mean that he will never go to Bayern: Klopp says for logical reasons alone that they are one of the best clubs in the world. As Honigstein notes, Klopp and his backroom staff are committed to Liverpool until the end of the 2021/22 campaign, and this has been followed by the majority of his key players. Alisson (2024), Virgil van Dijk (2023), Joe Gomez (2024), Trent Alexander-Arnold (2024), Andy Robertson (2024), Alex Oxlade-Chamberlain (2022), Jordan Henderson (2023), Fabinho (2023), Naby Keita (2023), Mohamed Salah (2023), Sadio Mane (2023), Roberto Firmino (2023) and Xherdan Shaqiri (2023) are all tied down for the long term. With the core of his squad pledging their futures to the club—and hopefully the likes of Gini Wijnaldum, Rafa Camacho and Curtis Jones to follow—Klopp could build a legacy on Merseyside. Honigstein went on to discuss the difference between Liverpool and sides like Bayern and Man City, and said it is “an honour” for Klopp to station the Reds as equal despite their slightly lesser means. “Bayern and Man City were always financially ahead of Klopp’s teams, and it is an honour for him that he comes on equal terms only with a lot of effort,” he added. “Liverpool does not have City’s almost limitless means, but Klopp can still be master. Klopp can, of course, take these frustrations out on Bayern with victory over two legs in the last 16, and Honigstein believes Liverpool are 60-40 favourites. “I’ve said from the start that the odds are 60-40 for Liverpool,” he continued. “Bayern have great, great players, but no great ‘team’. At Liverpool, I see it the other way around. Sure, Liverpool also have great players, but the team itself works. 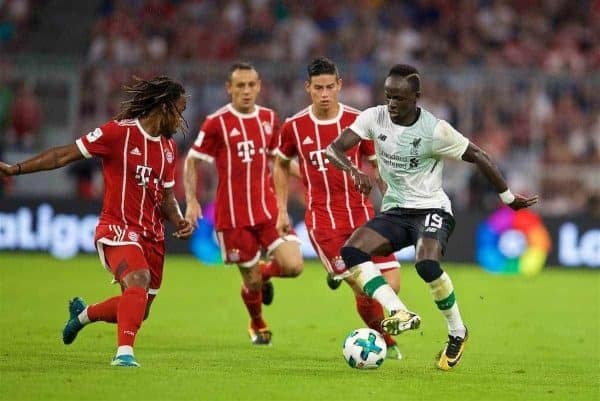 “Players like Joel Matip, James Milner or Jordan Henderson may not have the level to play at Bayern, but they work at Liverpool, because this team knows what they do. “They have an identity, a plan—so everything Bayern does not currently have. “And if you consider that the strengths of Liverpool also pretty much correspond to the weaknesses of Bayern, you cannot really assume that Bayern comes through. Hopefully Honigstein is right, and if his claim is true, we could see Klopp signing a new long-term contract in the future.